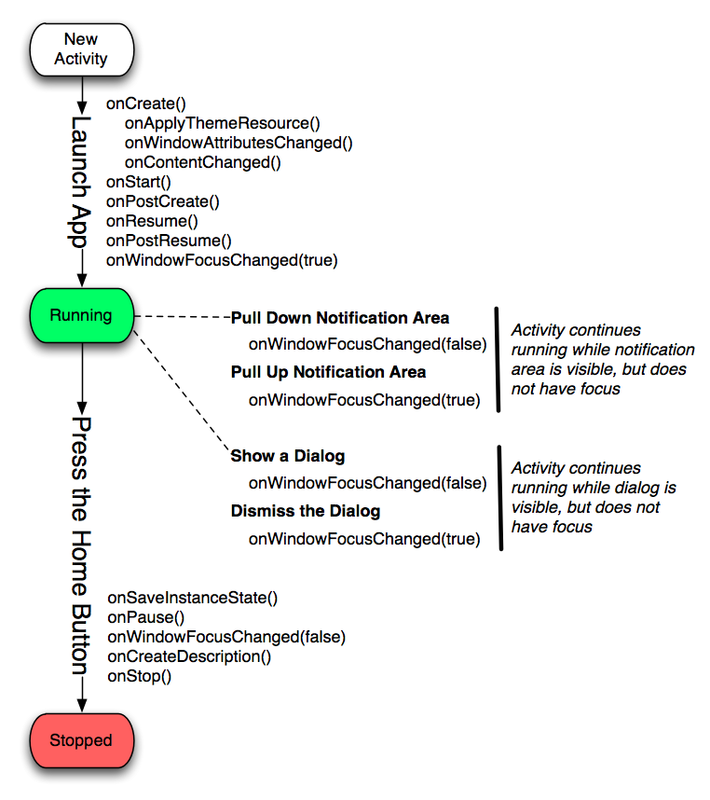 This is Part 1 of a multi-part series explaining how events, such as clicking the Home button, trigger transitions in the Android Activity lifecycle. You might want to refer back to this Activity Lifecycle Diagram I posted 20 days ago. The activity lifecycle is a complicated state machine which cannot live completely in my head so i like having a diagram to reference, however without the transition events its not a complete reference. I then ran the Activity in Eclipse, viewing the log in the DDMS LogCat window. (NOTE: DDMS is an Eclipse perspective, the LogCat window is in that perspective). I created the diagram using OmniGraffle. I suspect that learning the Activity lifecycle is one of the more challenging aspects of Android development. I hope this and future diagrams help. Posted on Tuesday, November 25th, 2008 at 10:57 pm in Android.